SDS Calendar Vol. II, no. 5. Typewritten calendar of events for the week of April 22, 1968 - before students knew they'd be taking over buildings that week. 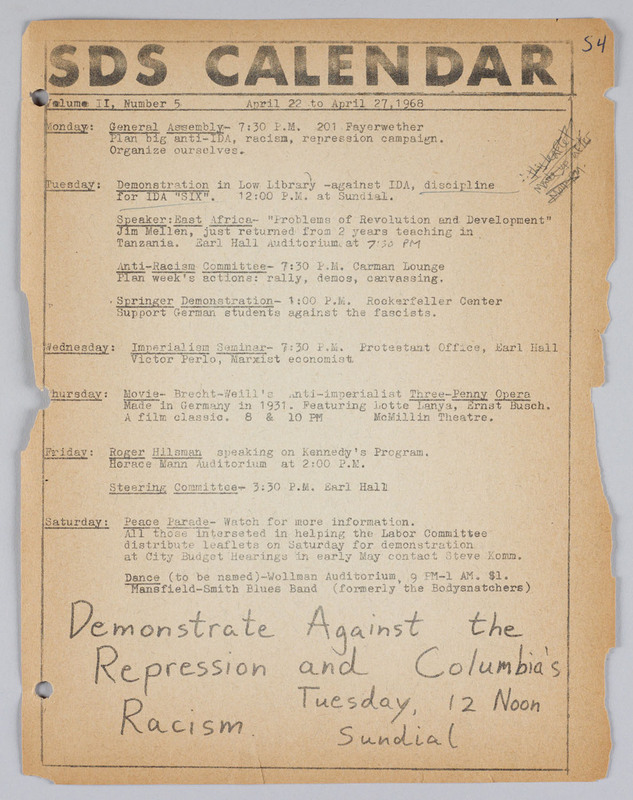 “SDS Calendar,” Columbia University Libraries Online Exhibitions, accessed April 25, 2019, https://exhibitions.library.columbia.edu/exhibits/show/1968/item/5533.